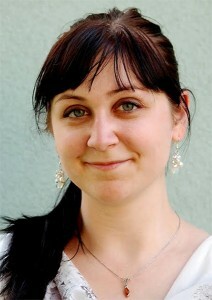 My name is Linda Magáthová and I am a freelance translator, interpreter and teacher. I earned my master’s degree in translation and interpreting (German and English) from the Constantine the Philosopher’s University in Nitra, Slovakia in 2012. My working languages are Slovak, German and English. Ever since I was a young student, working in the field of foreign languages has always been my goal. I treat translating and interpreting not only as a job, but also as a hobby. That’s one of the main reasons why, right after obtaining my university degree, I started working as a freelance translator, interpreter and language teacher. Both during my studies and since the beginning of my freelance career, I gained a lot of experience by translating various texts and interpreting many meetings, negotiations and conferences. I specialize in the fields of logistics, natural sciences, automotive and art. However, I am still open to new challenges and possibilities to broaden my professional horizon. uently Polish and plan to add it to the portfolio of my working languages soon. y introduce myself as well as my previous professional experience in the fields of translations, interpreting and teaching, put forward the possibilities of our mutual cooperation and introduce you to the prices of my services. If you are interested in my services, please feel free to contact me via telephone (+421 948 216 028) or e-mail.